What a week for our #apprentices …on Tuesday we attended the Torbay Business Forum breakfast at South Devon College where Jack sat on a panel taking questions about being an apprentice, with an audience of over 100 he did exceptionally well. 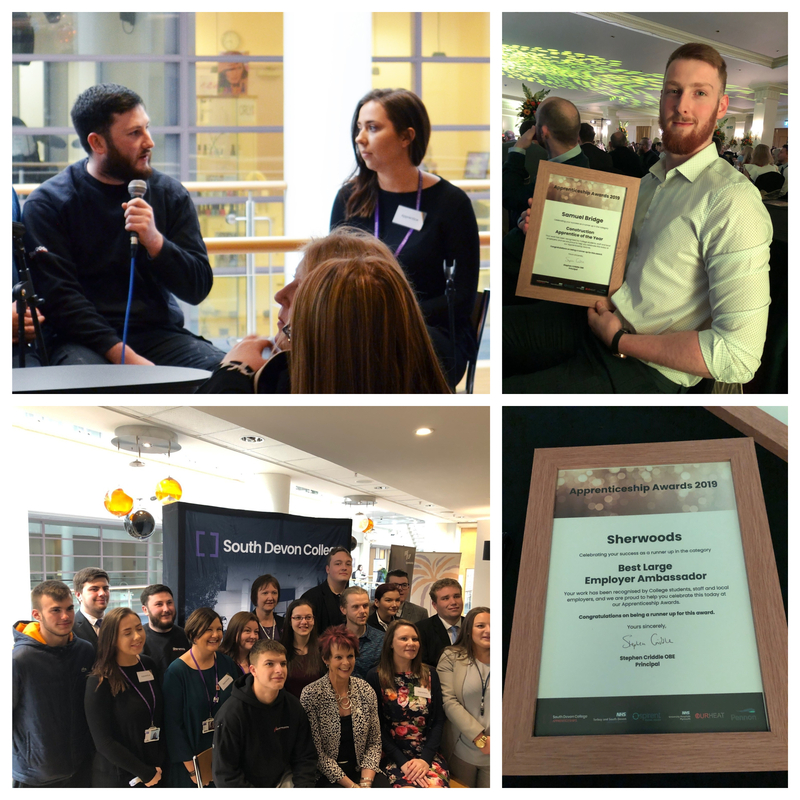 On Thursday we went to the South Devon College Apprentice Awards where another one of our apprentices, Sam, received a runner up award and Highley Commended in the Construction Apprentice of the Year category, and on top of all that we were runners up in the Large Employer Apprentice Ambassadors – all in all a good week for us. We would all like to extend our congratulations to all the nominees, runners up and winners in all the categories – well done everyone. Thanks also to the team at South Devon College who put on an amazing event – you should all be very proud.